Wow. It's upon us already. Or, it's upon me, I should say. I remember thinking, back in January or so when I vowed this would be My Year of Reading Joyce Dangerously, how far out June felt, how long I had before it would be time to belly up to the bar and actually start reading the book. Because there's a big difference between puffing out your chest, proclaiming, "I will now tackle Ulysses!" and actually doing so. The proclamation part is a bit easier. After all, people may forget what you said six months ago but once you've actually started a project the WHOLE WORLD WILL SEE IF YOU FAIL. 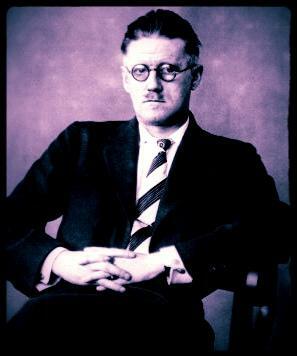 What I know of James Joyce, as of this moment, could be fit on a fortune cookie paper. He was Irish. He was brilliant. And that would be it, the sum total of my knowledge. Now, let me qualify that by telling you I have read A Portrait of the Artist as a Young Man, which I found breathtakingly beautiful. But that was long ago, probably less than a decade, but not by much. I've heard APOTA is much more accessible than Ulysses, though. That I have no idea what I'm in for, that many hate, even revile the man's masterwork. And this may be true, but I'd be an idiot to let others decide my reading path. The timing of Bloomsday isn't the best, what with Booktopia 2012 - Oxford, MS coming up next week, when my attention will be taken up by all things southern, the redneck returning to her Native Land, etc. But when does life ever really free up completely? Does it, actually? Am I doing something wrong?